If you ever need an excuse to chuck a sickie from school, here's the ultimate guide. 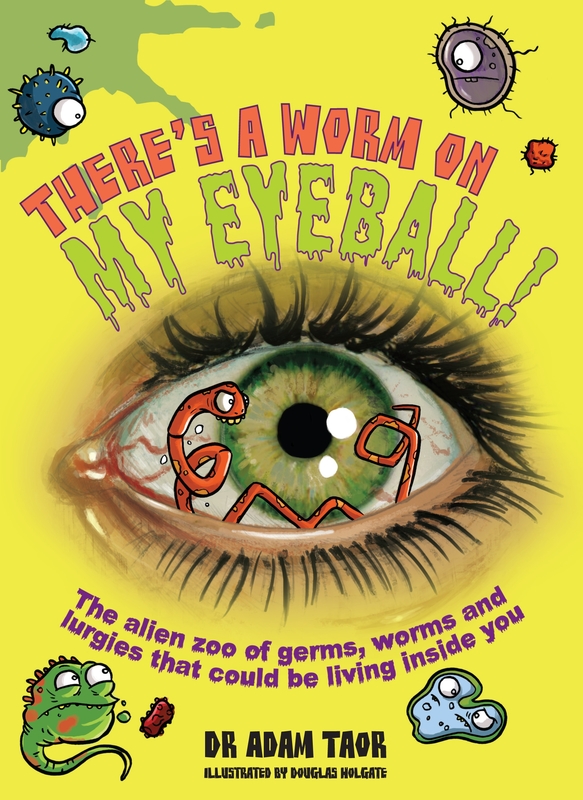 Are you host to the African eye worm - a five centimetre-long worm that reveals itself by squirming across your eyeball? Ewww!!! Or could you tell your mum that you have a ten-metre long beef tapeworm in your guts? Gross!!! Maybe that cut on your little finger is glowing in the dark due to light-emitting bacteria? (Hmm, actually, that could be something to make all your friends jealous.) And that's before you get to the billions of tiny bugs living in your poo . . .
Be warned. If you read this book, you will never look at the world - or your own body - the same way again. Love There's a Worm on My Eyeball? Subscribe to Read More to find out about similar books.